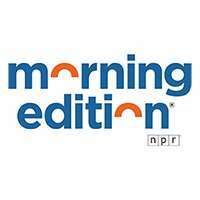 Morning Edition is the most listened-to news radio program in the country. The show brings listeners up-to-the-minute news, background analysis, commentary, interviews and coverage of arts and sports. Heard regularly on Morning Edition are some of the most familiar voices including news analyst Cokie Roberts as well as the special series StoryCorps, which travels the country recording America’s oral history.